An enchanting tour to those little jewels sitting in the middle of the Tuscany countryside. We will stop first in San Gimignano, a small town known all over the world for his unique medieval towers surviving until now through the centuries. Is amazing to get lost in the small street, spotting shops, artisans and beautiful monuments. Is possible also to climb on top of the Torre Grossa, the only one open to the public, and so enjoy a great view over the town and the surrounding green countryside. The afternoon is dedicated to the visit of Siena and his highlights: Piazza del Campo and the Cathedral, il Duomo. Is possible to visit the Cathedral as well as have a walk in town. 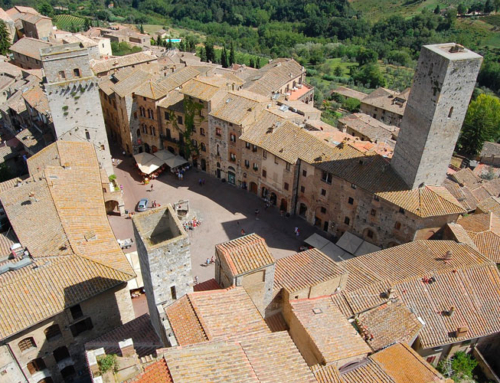 Siena and San Gimignano are famous for leather productions and small artisans shops.